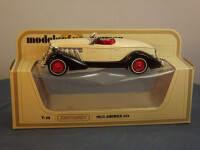 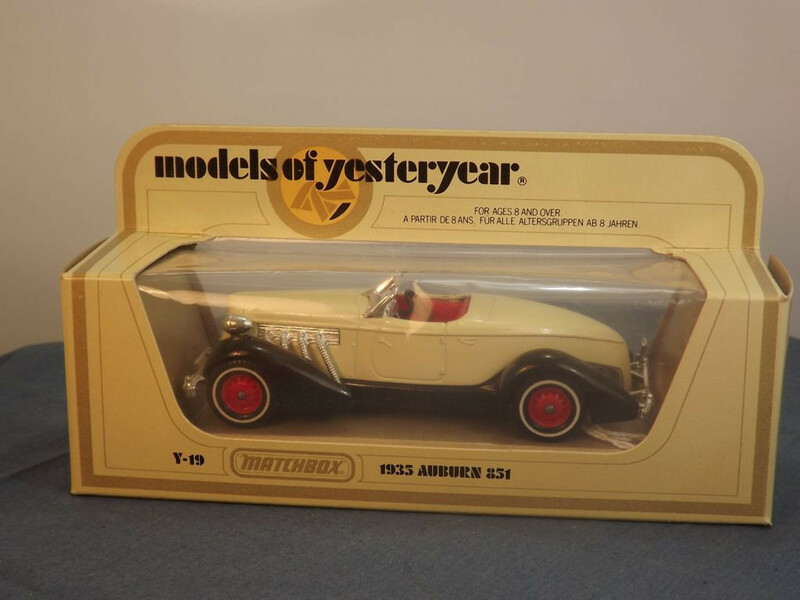 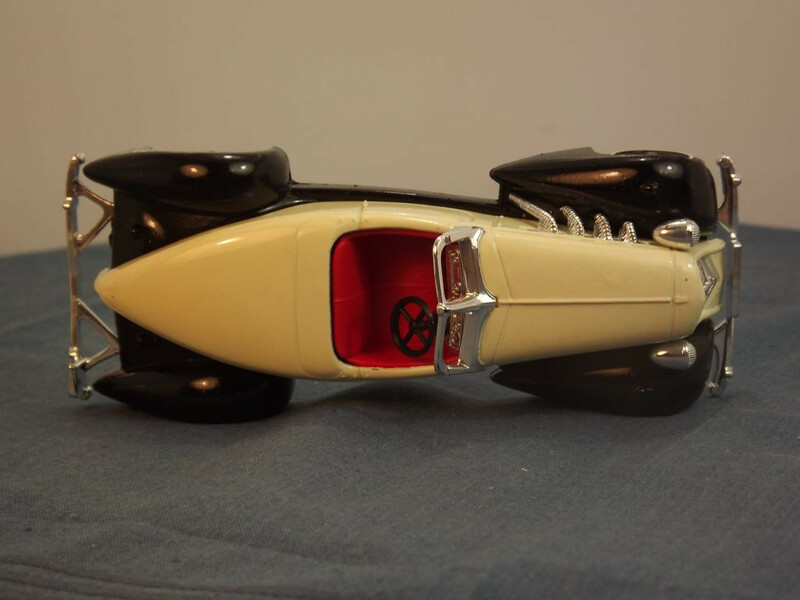 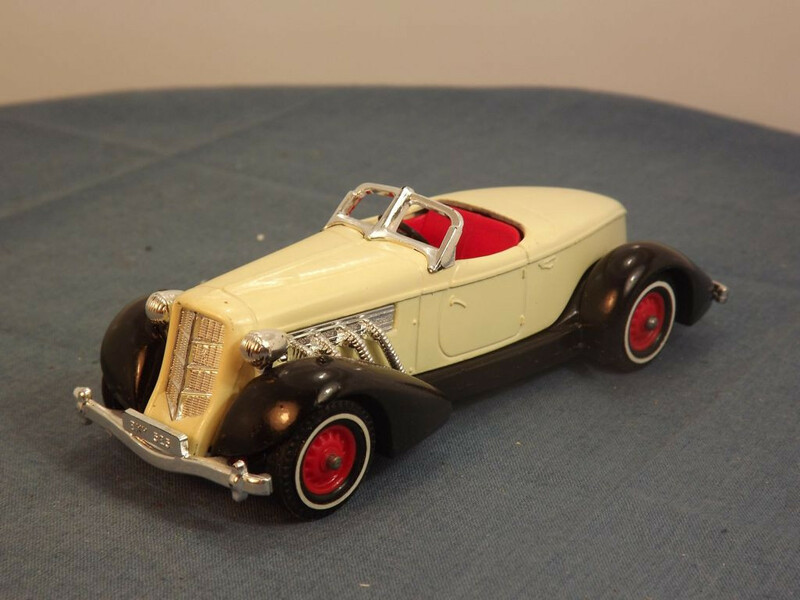 This model is the Matchbox Yesteryear Y19-1-A-7 Auburn Speedster (1935/6) in Light Cream and Glossy black. It comes packed in its original type I straw box. 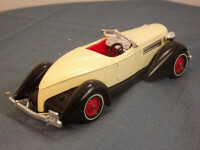 The model has a Light Cream body and bonnet, and glossy black chassis. 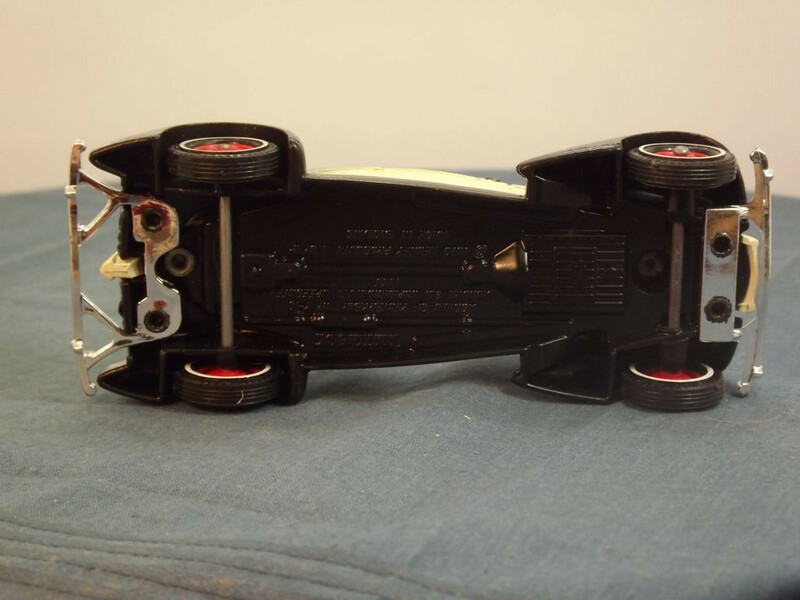 Other Comments/Identifying Features: The model has bright red seats, riveted axles, and no threaded hole in the base. 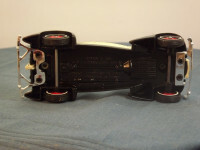 The baseplate is held in place with two machined rivets. Issued between 1983, it has a stated scale of 1:42.